But wait – the prices, the traffic, the parking, the restroom facilities, the heat … nobody’s idea of fun. Not to mention that miserable ride home with sunburned, cranky kids in the back seat. 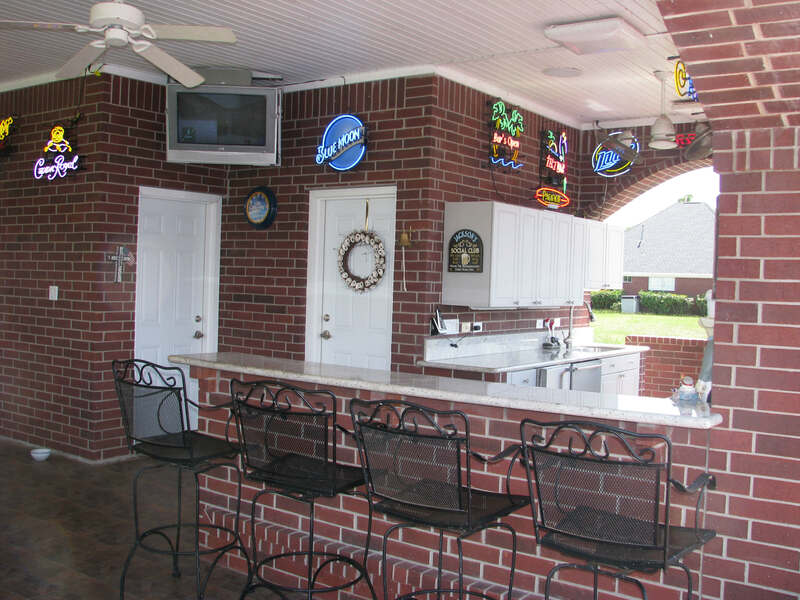 Hang out with friends and family at your own backyard bar & grill. Everyone has a grill. 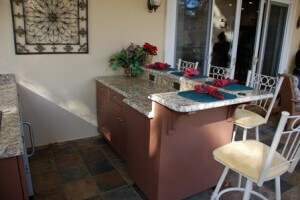 Most any backyard has room for a bilevel bar with bar stools. 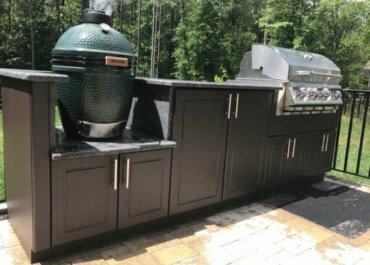 Add a built-in grill or stick with the portable grill you have. 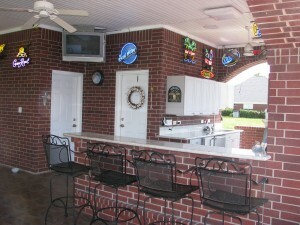 You’ll want shade, so unfurl a large umbrella – or place your bar area under existing roofing. Your bi-level bar will be everyone’s favorite spot, no matter what other seating is available. Need ideas? Browse our picture gallery for real pictures from our customers.